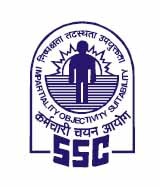 Staff Selection Commission (SSC) has published Advertisement for Combined Higher Secondary Level (10+2) Examination, 2016. Other details like age limit, educational qualification, selection process, application fee and how to apply are given below. Total No. of Posts : Tentatively the vacancies for the post of Postal Assistant/Sorting Assistant, LDC, DEO and Court Clerks are 3281, 1321, 506 and 26 respectively. Educational Qualification : Must have passed 12th Standard or equivalent examination from a recognized Board or University. Application Fees : Mode of payment of fee payable Rs. 100/-(Rupees One Hundred only).